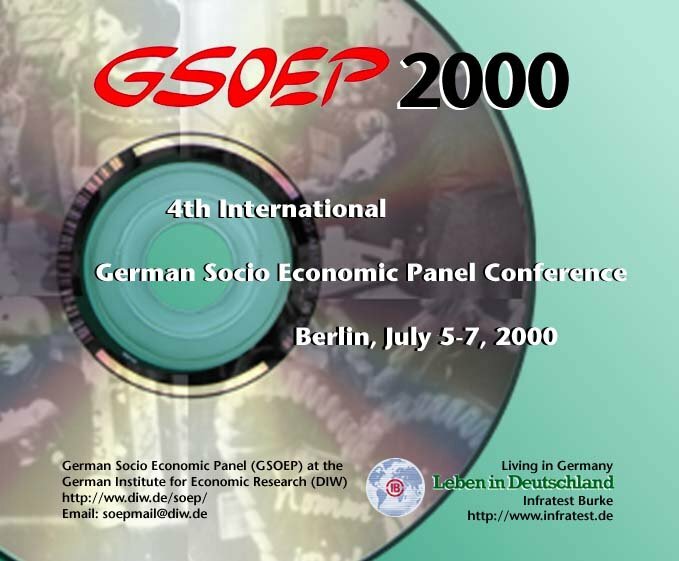 The fourth international German Socio-Economic Panel (GSOEP) conference will be held in Berlin, July 5-7, 2000. It takes place at the Social Science Research Center Berlin (WZB). The conference provides all interested parties an opportunity to discuss ongoing research based on the GSOEP and the Cross-National Equivalent File (CNEF). The call for papers was followed by very interesting abstracts. We received far more than 60 contributions. To register use our registration form (please register by May 31, 2000). Dr. Heike Solga (Max Planck Institute for Human Development, Berlin). The »Society of Friends of the DIW« has decided to honor the presenters of the best three papers. The GSOEP2000 program committee will choose the best three papers which will be announced at the end of the conference.